Another local brand tablet that features powerful specs- the CloudFone CloudPad 700d. 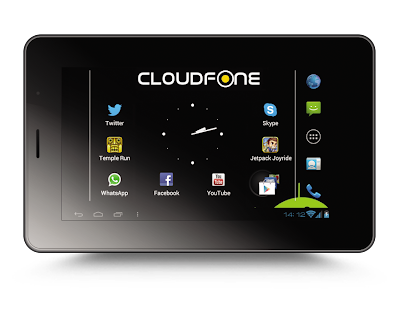 The CloudPad 700D is powered by 1.0 GHz dual core processor and runs on a Android 4.1 Jelly Bean. It also features 2 MP rear camera, 4 GB RO, 512 MB RAM, among others. You can get this super cool tablet for only Php 5,999. Aside from the CloudPad 700D, you might wanna check out the CloudPad 970d, CloudPad 700tv, CloudPad 705w, CloudPad 800d and CloudPad 800tv . For more details, blog, unbox and review about CloudPad 700D tablet, check out CloudFone website and their Facebook Page or visit the nearest CloudFone store, kiosk and accredited dealers for other inquiries.